We already know what you’re thinking. And no, we won’t stop kidding ourselves into thinking we’re a different breed of tourist (we prefer “frequent visitors”). However, reality points to us being guiltier of tourism than we’d like to admit. Neither of us permanently lives in New Hampshire. We’ve shamelessly dined in cute, bear-themed breakfast places, hoarded souvenirs from the many gift shops scattered across the neighboring mountain towns, and very briefly entertained the idea of taking a moose-sighting tour. The one thing we swore we wouldn’t do was to pay money to see something shaped by nature itself. We personally believe everyone should have access to these sights and places free of charge. But on our non-hiking day, we had arrived at our campsite unusually early and had an entire day to kill. 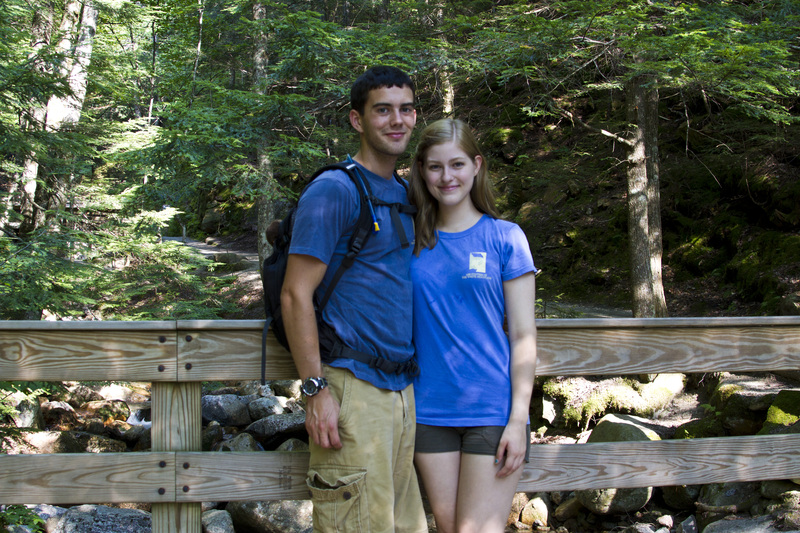 So, we caved to hypocrisy and headed over to Flume Gorge to see what the fuss was about. Outside the huge, wooden lodge guarding the entrance to the Gorge, we were invited to play a guessing game in which had to we match the animal to its correct footprint. It wasn’t enough for Colin just to guess the common name of the animal. He gleefully provided the genus and species of nearly every animal he guessed (typical, passionate wildlife major). We talked with the guide, Andrea, who was super nice, and learned we were both hiking the Kinsmans the next day! 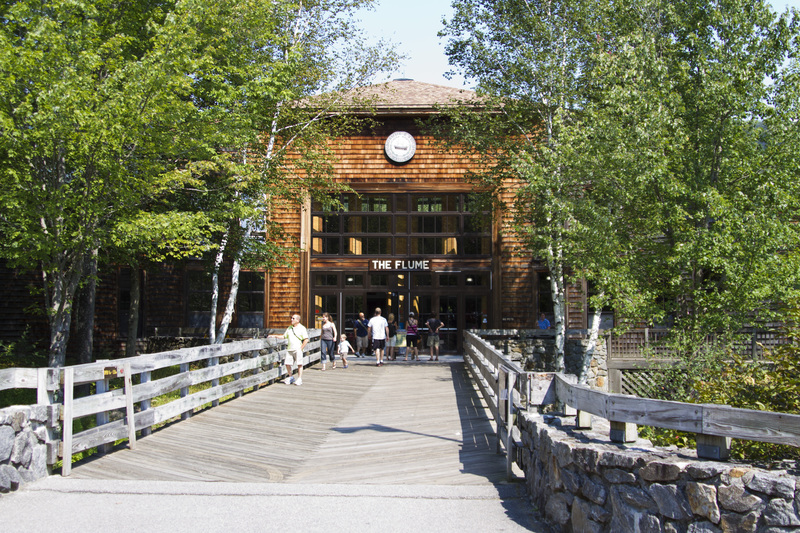 After some talk about the area and hiking, we said goodbye and ventured into the lodge. A fake stuffed moose greeted us, along with a (real) stuffed bear, and an old carriage amongst other things. Although the building is spacious, it seemed much smaller due to the swarms of people inside. Fifteen dollars later (each! 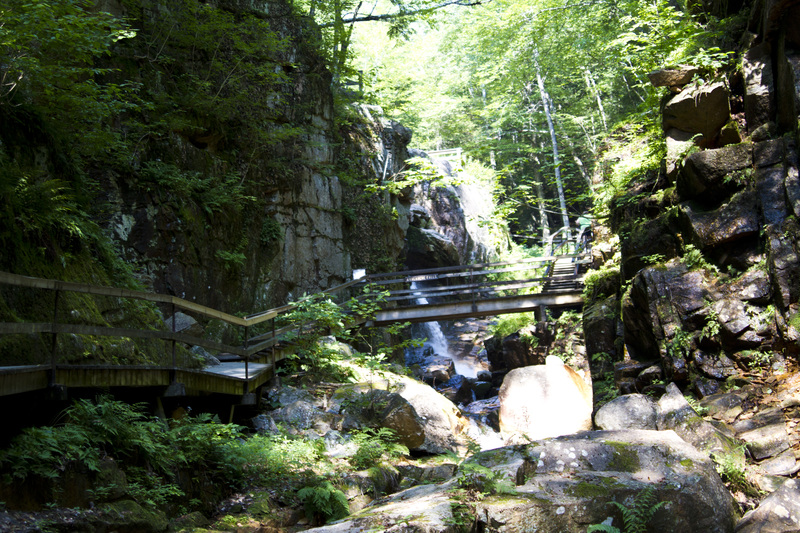 ), we embarked on our walk through Flume Gorge. The walk itself was pretty. We picked up a scavenger hunt (provided by Andrea and clearly intended for children) to make the trip more entertaining. Colin even scared away a poor little boy by waddling like a penguin behind him (we had to walk like animals across the street!). The sights were well marked and interesting. Along the way was a glacial boulder, a covered bridge, and various viewpoints that showcased cascading waters and unique rock formations. After weaving through groups of families, we finally reached Flume Gorge. It was a sublime feeling to stand between two colossal sheets of prehistoric rock, and look down at powerful streams water surging in graceful swirls below. It was amazing to ponder how the gorge itself came to be, and to see evidence of its age through the dark streaks of the main basalt dike. Flume Gorge was majestic. The clusters of tourists were not. 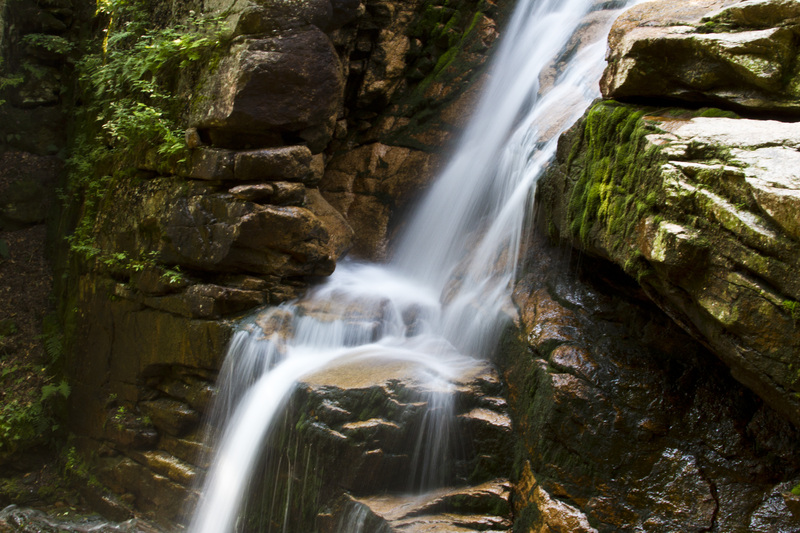 We completely acknowledge that if your family is not the rugged, mountaineering type (or if you have younger children in tow), places like Flume Gorge are an amazing way to experience nature’s masterpieces on a limited schedule and without the exhaustion. But in all honesty, we felt trapped in a tourist’s nest. We couldn’t get any good pictures of the Gorge without at least one person in the shot. While we tried to stop and admire the scenery for two seconds, we were interrupted when we had to make room for lines of people who wanted to keep crossing the narrow bridge. And worst of all, we witnessed parents allowing their children to go behind the fences that guarded potentially dangerous parts of the area (something that hit home for us, especially because of last weekend). One boy was playing directly on top of a waterfall! WHO LETS THEIR KID DO THAT?! Maybe it was just the day we were there, but a potentially enjoyable experience was dampened by too many people. 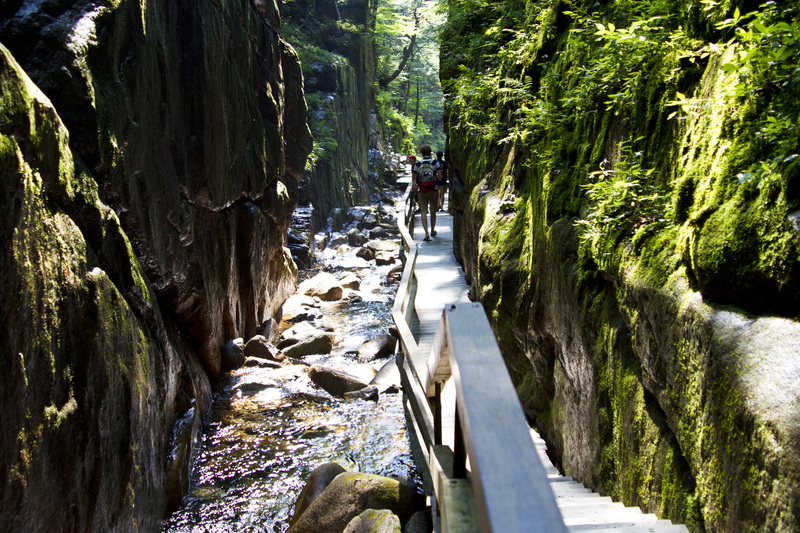 Flume Gorge’s beauty is not worth fifteen dollars–it is priceless. However, we were both a little bitter about forking over $30 total to not even have an opportunity to fully appreciate its beauty. We walked back, trying to conquer our disappointment before we reached the lodge. Sure, we realize that we were also part of the congested walkways, the narrow footpaths, the small wooden staircases. We were tourists, too. There’s no denying our hypocrisy. 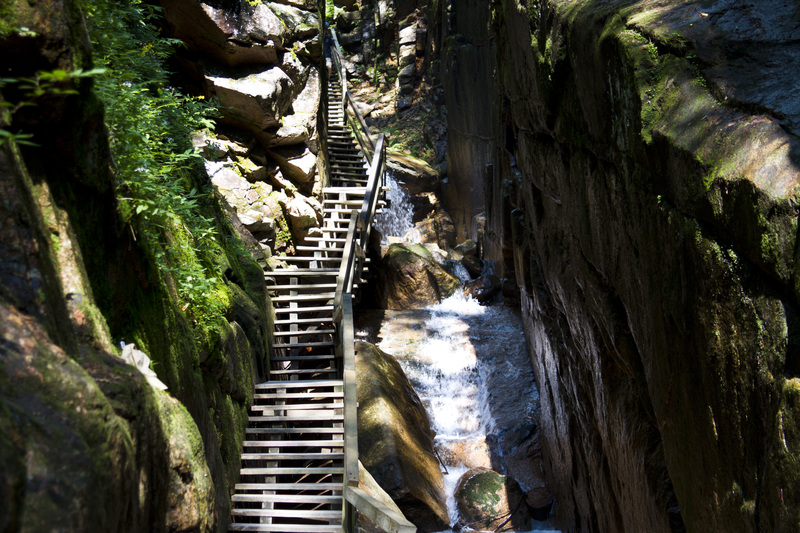 Flume Gorge is a stunning testament to the glory of nature, and we’re so appreciative that it is open for anyone who wants to see it. We even excuse the expensive admission fee, since a lot of people work hard to maintain its beauty. But for now, we’ll just stick to the mountains, where the people are sparse but friendly, the surroundings beautiful, and the admission fees non-existent. Previous Best Weekend Ever! 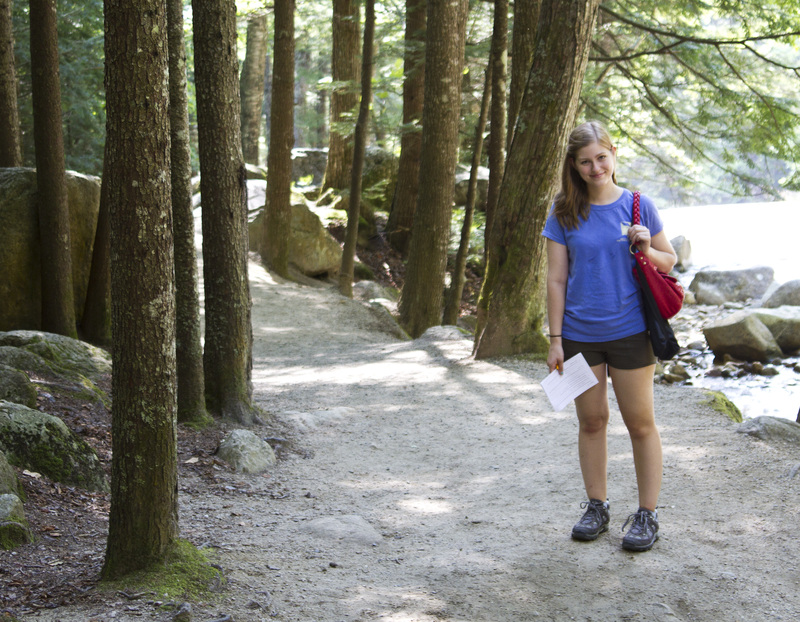 Only Not… Next Cannon Mountain: The Eleven Mile Hike! 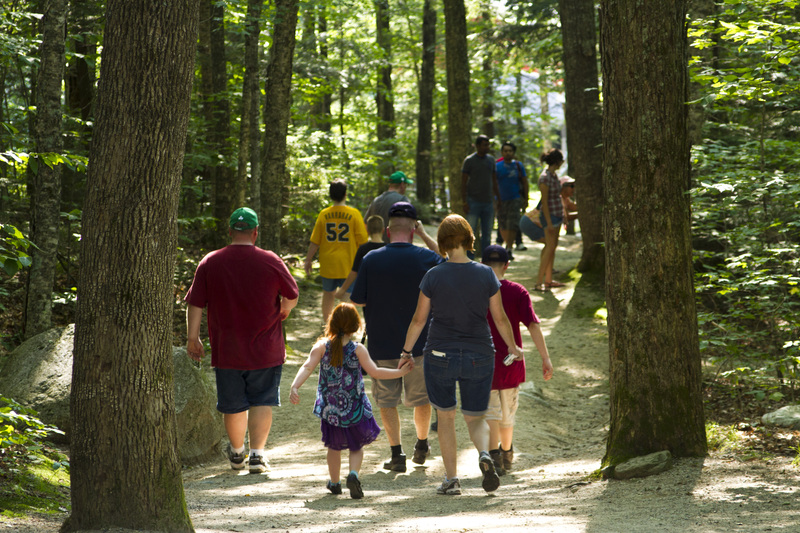 Our main goal is to hike as many of New Hampshire’s 48 4,000-footers in the spring and summer months of 2013. 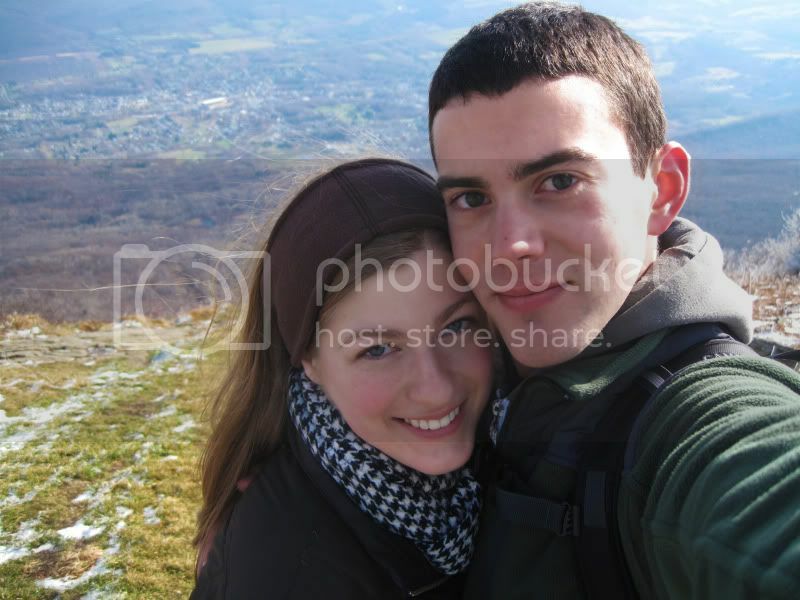 Cannon Mountain: The Eleven Mile Hike!